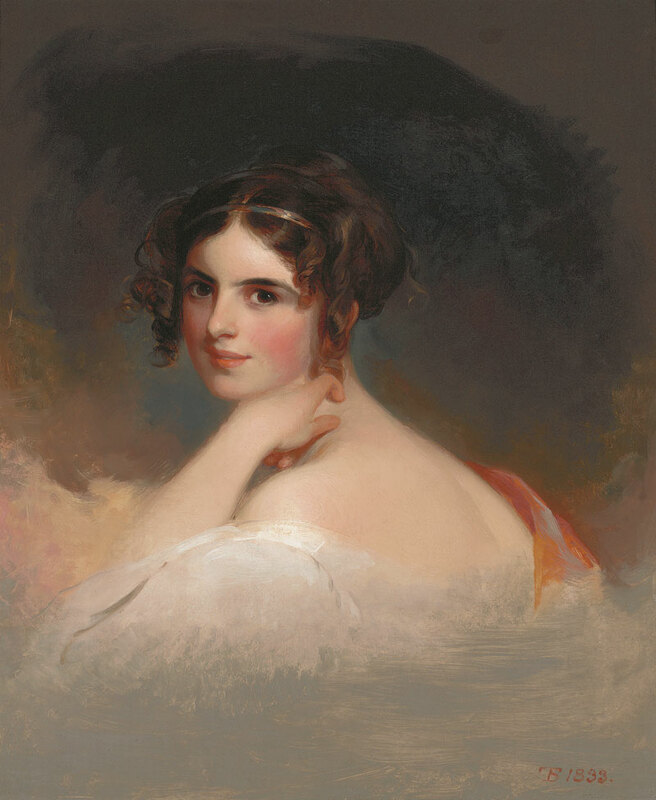 Frances Anne Kemble as Beatrice, by Thomas Sully. Image courtesy San Antonio Museum of Art. The San Antonio Museum of Art has enjoyed steady growth over the last few decades, and its latest move may be one of the boldest yet. The decision was made (and funding was found) to hire not only one, but two new curators. William Keyse Rudolph is the new curator of American Art and Chief Curator of Collections, and the very personable Merribell Parsons is the new curator of European Art. 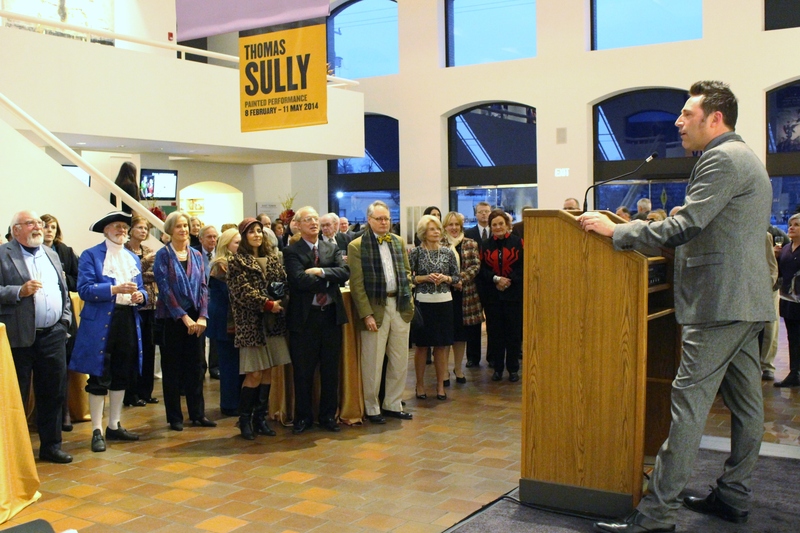 William Keyse Rudolph makes a few brief remarks at the opening reception for Thomas Sully: Painted Performance. And to kick off this new era at SAMA, Rudolph is curator of the latest exhibit, Thomas Sully: Painted Perfection. And this is surprisingly good — every art aficionado should check it out. Sully’s work is amazing on so many levels: detail, use of light, as well as composition. Plan on spending a considerable amount of time admiring and studying his paintings. Yes, he was that good. 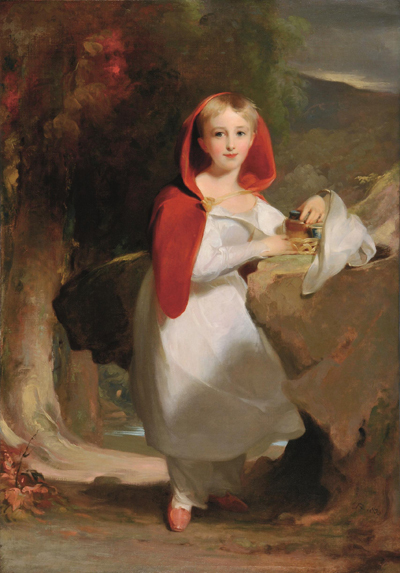 Sarah Esther Hindman as Little Red Riding Hood by Thomas Sully. Image courtesy San Antonio Museum of Art. This exhibit was originally shown at the Milwaukee Museum of Art, where Rudolph was previously curator. Given its quality, it’s an auspicious sign that Rudolph’s tenure at SAMA will be a great one. Here in San Antonio, he oversees a sizable existing collection. Parsons, on the other hand, is dealing with a smaller collection, which will hopefully be enhanced through loaned or gifted items, and acquisitions. 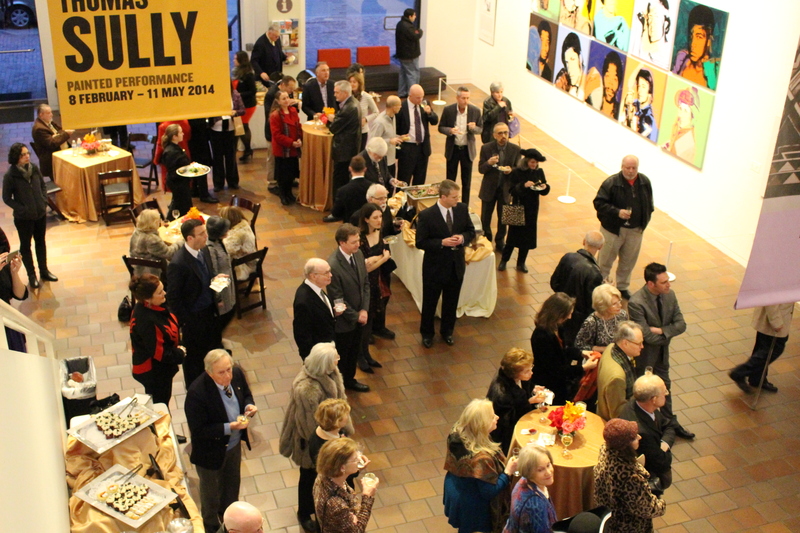 Of course, every art exhibit is worthy of an opening reception. And as usual, SAMA hosted a first-class gathering. 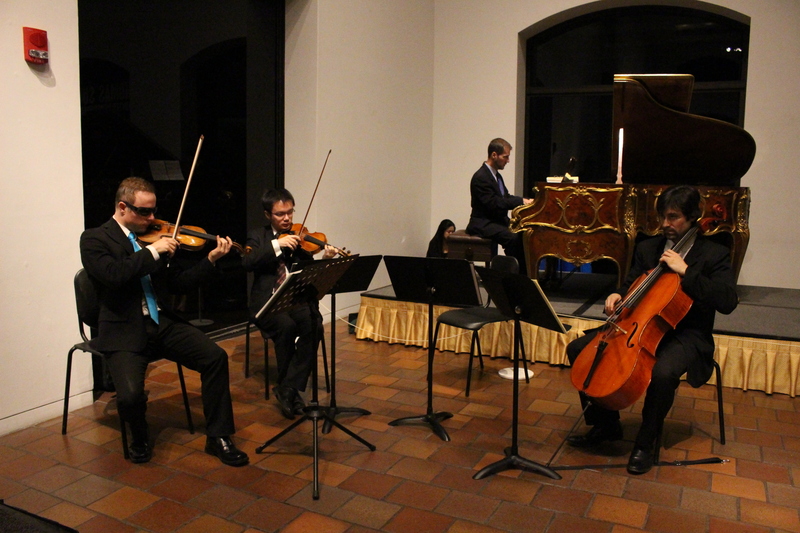 Music was provided by a chamber ensemble from the San Antonio Symphony. The feature instrument was the newly-refurbished and repurchased Steinway grand piano that previously and once again will grace the lobby of the St. Anthony Hotel, which is currently under renovation. This piano is dream for any lover of all things baroque. For the time being, it graces the lobby of SAMA, and you can check it out on the way to the Sully exhibit. Those who were willing to brave the cold temperatures were treated to a well-catered event. Note the Andy Warhol paintings at the upper left. And while you’re there, be sure to check out the amazing montage of Andy Warhol paintings of 1970’s sports superstars currently on display in the lobby. And while you’re there, you can use your smartphone to listen to Warhol being interviewed in 1978 by David S. Rubin, who is currently SAMA Curator of Contemporary Art. Thomas Sully: Painted Performance is on display through May 11. It’s definitely worth checking out. And for those of you who are on a budget, SAMA has free admission on Tuesdays from 4-9 pm, and Sundays from 10 am until noon. 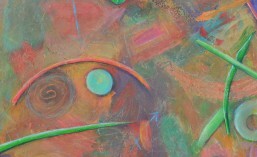 This entry was posted in Art Events, Opening Events, Talking Art. Bookmark the permalink.